Pure crystal sphatika mala, 35 inches in length (each bead is around 9 mm thick). Total there are 108 beads in the mala. 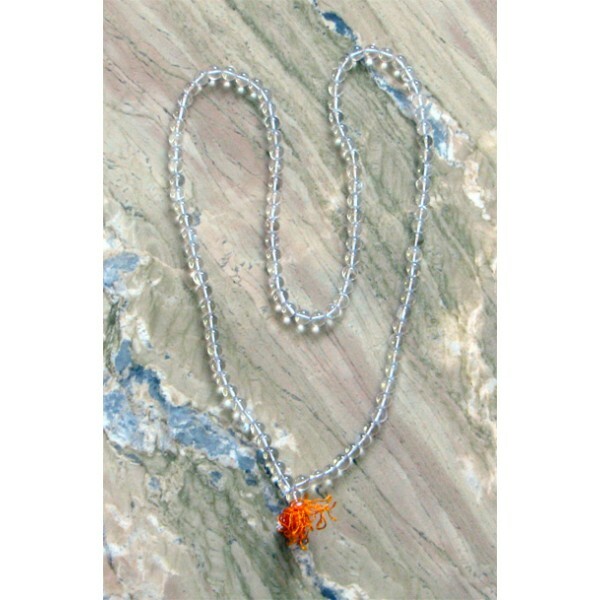 Wearing the sphatika mala has a cooling effect on the mind and body. The sphatika mala is also recommended for use when performing japa of Devi mantras. We sell only 100% pure authentic sphatika malas of the highest grade. Be very careful of duplicates when purchasing sphatika, rudraksha and tulasi malas.